As the New Year approaches I am looking at starting a new chapter. Forget the bad cherish the good. I feel the 10 year work itch approaching. With the downturn in the I.T. industry. With people moving away from computers to Mac’s, tablets and phones. With hardware manufactures and software vendors cutting us small businesses out of the market selling direct to the end user. I refuse to be the last man standing and then have to look for something to do. And just as I did from my previous employment. The day I started there I said that I would work there for 10 years and then get my long service leave and move on. While working there I was told by many of their customers that I would be the last one left there. I was the only original one there when I left and the company had gone from 7 people to 3. I had seen the company falling apart before I left only for it to fold nationally 18 months after I left. With the I.T. industry it is just a matter of when. The time has come for me to start to transition into something else while there is still work while I start something else. I will still continue to offer computer services to any new and my existing clients. But… Just like when I started out with my own business while I was working for someone else. It was just a hobby. But… Became my job for the last 9 years. I believe that it will continue to be a hobby after I have got something else off the ground. The question is what do I do? HI DAMIAN, THANK YOU FOR YOUR NEW YEAR WISHES AND UPDATE AS TO WHAT YOU ARE PLANNING. FOR THE NEW YEAR WORK WISE YOU ASKED FOR SUGGESTIONS AS TO WHAT I WOULD CONSIDER A NEW DIRECTION FOR YOU TO PURSUE………..WELL HERE IT IS,YOU ARE SO GOOD WITH CHILDREN AND THEY SEEM TO RESPOND SO WELL TO YOU THAT A CAREER IN CHILD CARE IS SOMETHING YOU SHOULD THINK ABOUT ESPECIALLY WITH THE NUMBER OF KIDS WHO DON,T HAVE A MALE INFLUENCE IN THEIR LIVES. AS YOU HAVE INDICATED TO ME BEFORE, LIFE IS NOT ONLY ABOUT MAKING MONEY THROUGH ONES CHOICE OF EMPLOYMENT ,BUT A NEED TO FEEL SATISFACTION ON KNOWING YOU HAVE ADDED QUALITY TO THE LIFE OF OTHERS , IN THIS CASE THE KIDS YOU WOULD BE CARING FOR ON A DAILY BASIS.THERE YOU HAVE IT………..HOPE MY THOUGHTS ON THE SUBJECT GIVE YOU FOOD FOR THOUGHT,HAPPY NEW YEAR AND MAY YOU AND YOURS BE BLESSED WITH GOOD HEALTH AND HAPPINESS CHEERS, DENISE DAVIES. Damian, have read your request on a new start. 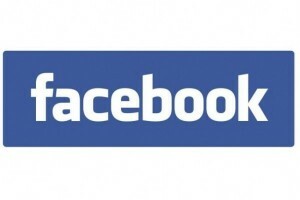 Over the years we have been clients of your business. During that time we have seen you caring for your nieces. We both think you have done a wonderful job as they seem to be well adjusted children. We wondered if you had ever thought of doing child care on a permanent basis. Parents need someone reliable to take care of their little ones & thought you would fill the bill. If you should consider this move we wish you every success. If you move to any other project we also wish you well. From Dorothy & Lindsay Smith. Off the top of my head anything to do as a service to time poor people, added to the fact that Perth has the highest ratio of wealthy people per population who are willing to pay for a service. Think out side the square!!!! I’ve known Damian for quite a few years. When he would come to our home to work on the computer, he usually had his little niece with him as he worked. I watched him as he changed nappies, gave her a bottle and also instruct the little one with gentle but firm instruction. I never saw Damian flustered or indeed short tempered with his niece. He seemed to be able to compartmentalise his work and the care of his niece. I would say that he had a gift for child minding and told him so. I wish him well as he changes the direction of his vocation and I firmly believe in his ability to be successful in his vocation of choice. I particularly regard him as a quality candidate for childminding. I would have no hesitation for him to care for the young as they develop skills under the wings of Damian. The comment from Denise may contain some good advice for you but of course there are many rules and regulations that will have to be navigated. If you decide to proceed in that direction I wish you well. I will continue to use your IT services and sales as long as they are available. The idea of Super Uncle Mobile Daycare service came after I had been child minding my two sister’s children. My sisters have had 12 children between them. I would help by minding the children when they were between the ages of 11 months and 12 years old. This has helped my sisters over the last 5 years, as this frees them to go to work and allowed me to look after my nephews and nieces. My work in computer repairs allowed me to take the children to works sites, where I could look after them between jobs or be available in cases of emergencies. This childminding service was rewarding to me by being able to help nurture my nephews and nieces. On the other hand, this provided the children with different stimulating experiences and environments. It was during the recent years that clients mentioned that I had a gift for child minding and spoke to me generally about the problems they were having with the Childcare industry. This inspired me to start a service that helped fill the void that conventional child-minding was failing to fill for my clients. Following further discussions with the clients, the concept of Super Uncle mobile daycare was born. Looking for daycare?…..daycare cost too much?…..Then look no further…..
Super Uncle Mobile Daycare Childminding offers affordable daycare for children 12 and under. Full day or before and after school care can be arranged. Being an Uncle has taught me how exciting children are and what fun, imaginative and creative ideas they can spark. My belief is that children should have fun first and foremost while learning and being respectful to others as they continue to grow as individuals. Hanging out with and caring for them really made me feel better about myself. Along with learning enormously about infant care, I found that I had a natural ability with young children. My temperament and personality seem to be a perfect fit. People noticed this, and suggested that I should consider working in childcare as an option for a new career path. Centering education around a child’s development is key to them learning the skills they need. I focus on helping children learn how they are best able to at their age; through play, practical application, and reflection. 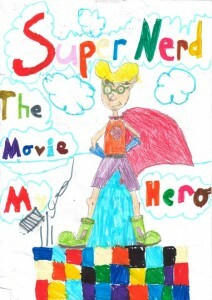 Children need to be active learners, and at Super Uncle, they will have the opportunity to do that. 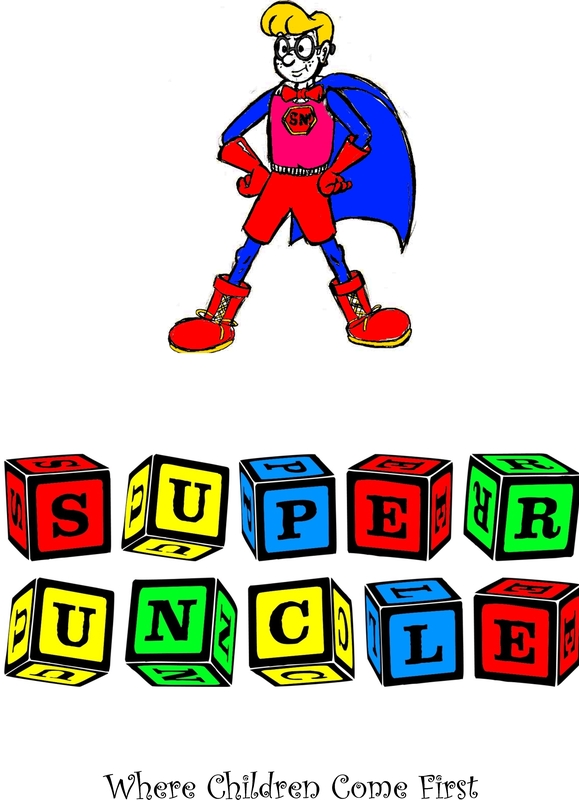 Super Uncle will focus on aiding in the process of developing the whole child. I believe that it takes an entire village to raise a child. I would love to be a part of this important process with them, while you, the parent, are managing all of life’s challenges. Super Uncle – Cognitive skills development: Children will have the unique experience of having a variety of disciplines at their fingertips. The mind of a young child absorbs information like a sponge; through structured and unstructured activities, play, and interaction with others. Children are constantly processing information about their world. Super Uncle – Affective Skill or Social & Emotional skills development: Social development: Understanding how to communicate, share, make friends, and get along with others is just the tip of the iceberg when it comes to social development in the first five years of life. Emotional development: The building blocks for a positive self-esteem and self-confidence start in early childhood. Young children are also learning how to manage and appropriately express their own emotions such as fear, sadness, anger, and happiness. Super Uncle will provide a safe environment in which children can develop communication skills and express themselves in a healthy way. This is a truly one of a kind program. Uncle Damian’s Daycare Childminding is dedicated to meeting children at their level and helping them grow in the areas they need. My small size allows me to ensure that your child receives the attention they deserve and for you as parents to actually have input into what I focus on, helping you to achieve the milestones important to you. I am committed to providing the best service possible for your children. Daycare centres are great for helping kids build social skills but due to numbers and staff issues, many of them are unable to take children out for much more than a walk around the block or a run in a small garden. Super Uncle is different because we ensure your child experiences so much more than the four walls of a colourful room. They will still learn to build social skills but in a smaller less intimidating setting of a baby/toddler/kids group. The kids I will look after are treated as part of my family, so we really are a home away from home. One of the frustrating things for parents is that most jobs do not give you anything like as many holidays as your kids get at school! Who actually gets to take over six weeks off at summer?? No one, not even the teachers! So for this reason Super Uncle intends to be open for as many of the holidays as possible to help parents all over Perth. I will return your child happy and tired!!! I only request that all the children be sent with suitable clothing, a comfortable pair of shoes and a packed lunch. We will supply a morning and afternoon snack. So if you need childcare, get in touch! Weekdays and weekends. Days and evenings. Occasional care.